Let us celebrate together this huge milestone of Pinkfresh Studio!!! YEY! This is the Heart and Soul stamp and die set. I drew the floral wreath. I thought it would be the best time, to create a layout with this stamp and die set. 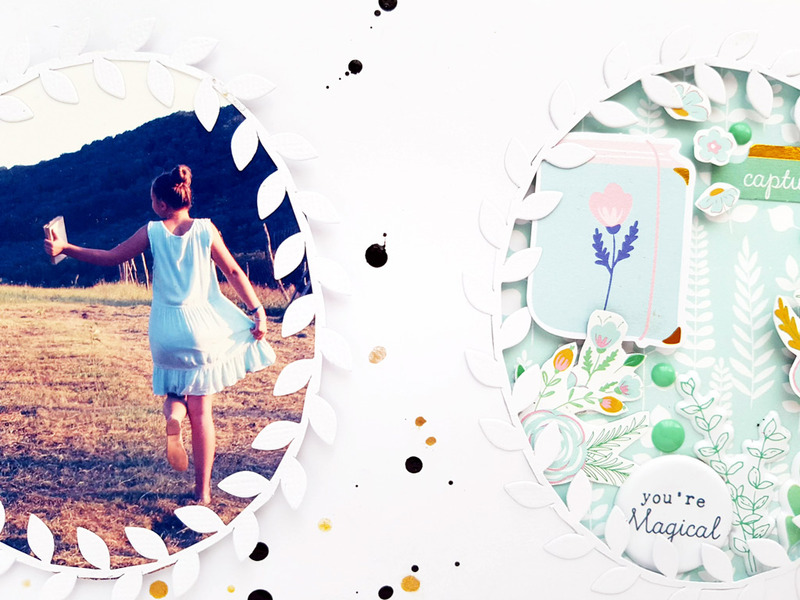 It is designed to create wonderful cards with it, but it is perfect to use it on layouts as well! The wreath stamp fits perfectly the Oval foliage wreath die, so I used them combined. I used the Oval foliage wreath die a little different. After cutting it on white cardstock, I fussy cut it and used these cuts as frames for the photos, and embellishments. I raised my photos with foam adhesive, as well as the oval foilage wreath with the stamped Heart and Soul image. The other two ovals are cut from the background and I used foam adhesive to create some space between the white cardstock and the scrapbook paper, so it is lower. I used -Being us- and -Perfect Moment- paper because they color coordinate with my photos of my daughter so well. These photos are beautiful memories of a happy evening spent together. We were filming a video clip together for a competition. I used my embellishments tone on tone. Fussy cut flowers, paper ephemera, puffy stickers, enamel dots from Joyful Day collection, some from Everyday Musings collection, and some decorative pins from my stash. I love this tone on tone technique so much! I also love dimensions, so I used 3D foam squares here as well. Some stitching with a sewing machine gives always some interest. I added depth with black splatter and a black and white striped bow. As for a finishing touch I used gold watercolor for some shiny splatters. I also colored some flowers on the stamped wreath gold. Each member of the blog hop is giving away a $25 gift card on their blog post. 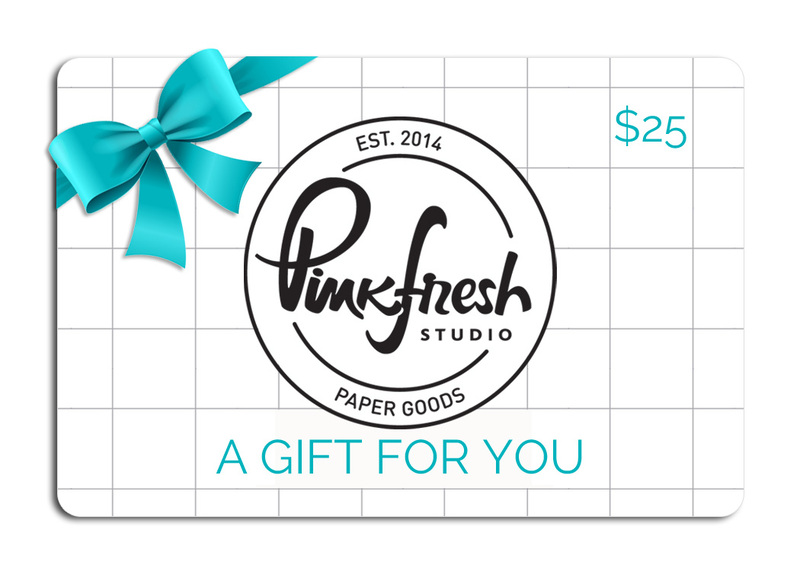 The winners will be picked from the comments, on Sunday, April 14th on the Pinkfresh GIVEAWAY PAGE. So I am waiting for you lovely comments!!! And don't forget to check the GIVEAWAY PAGE on Sunday, April 14th & claim your prize within 2 weeks!!! So write it in your calendar! * Free die (XO word) with purchase. There is no code necessary, and the die will automatically load into your cart while supplies last. * Free/discounted shipping from April 5-7th on orders $25+. You must use the code FREESHIP5THBDAY. Shipping is free in the USA, and $5.50 off for our International friends. 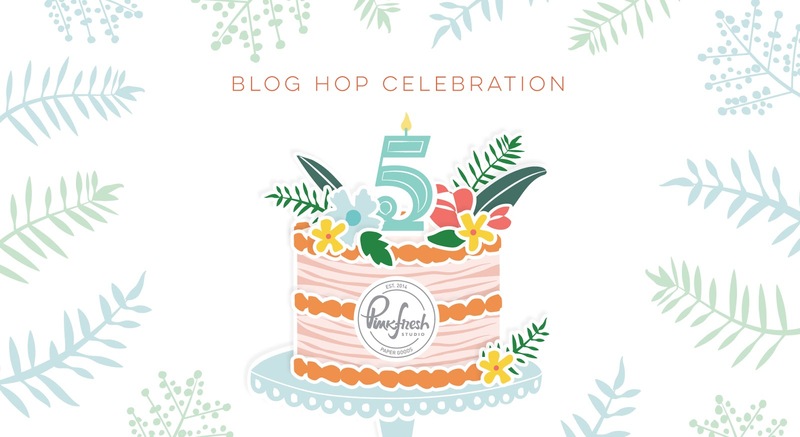 Here are the wonderful creators participating in the Pinkfresh Studio 5th Birthday BLOG HOP Celebration. There is SO much talent in the list. I love your layout. The wreath stamp is so pretty. Thanks :) It was time to use it myself! So beautiful! I love all the details and the wreath! 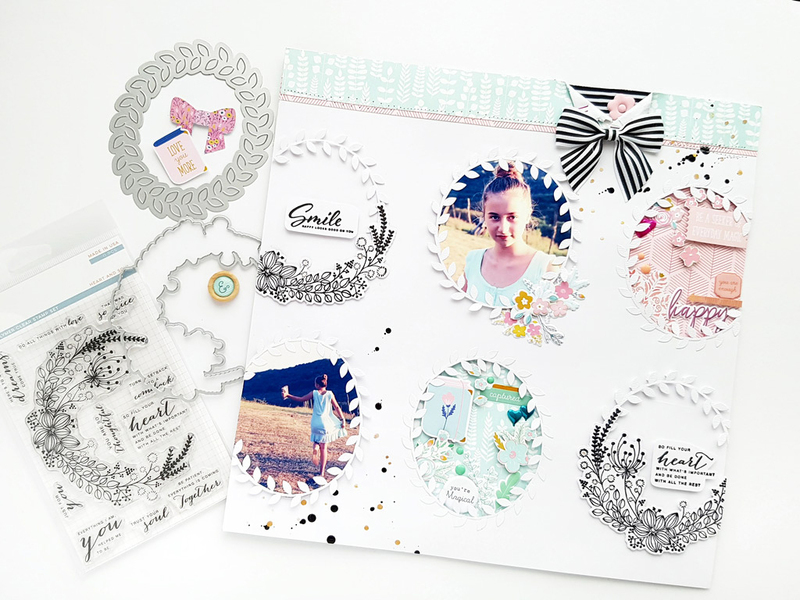 Beautiful layout and I love all the ways you used the wreath! So pretty and interesting to look at! Great job. What a lovely stamp set this is; I may just have to put it on my wish list. Beautiful layout. Love the design. What a gorgeous way to use your scrapbook page with stamps! I would have never thought that! What a lovely, lovely stamp set! Great use of the die. Lovely layout. 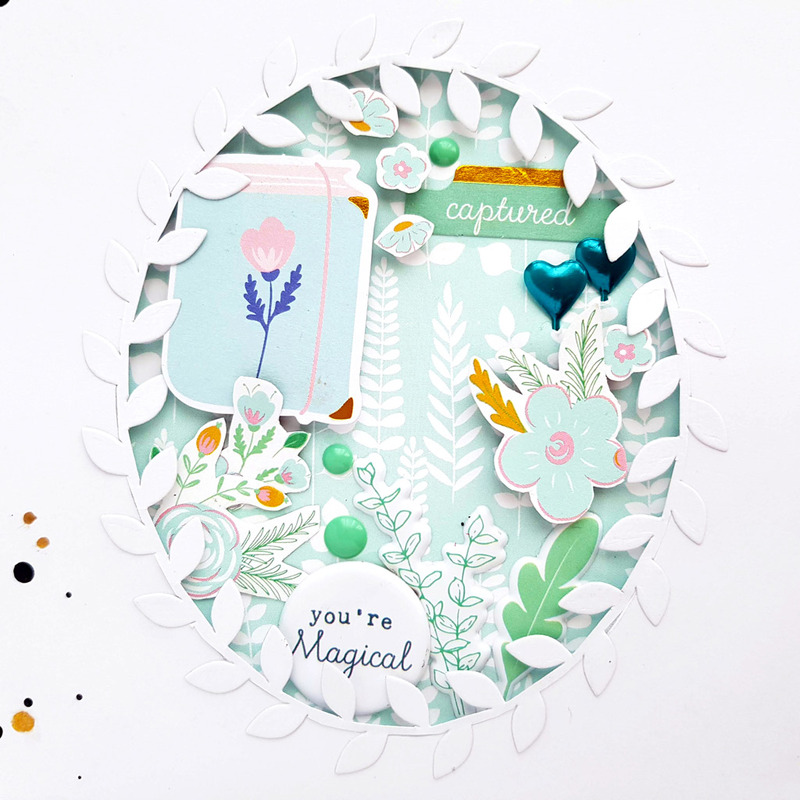 Gorgeous use of that oval die! Beautiful layout! Great attention to all the little details! i have lovely comments!!! what a great way to use the die and stamp set! that works for cards as well as a layout and i LOVE the idea! thank you so much for sharing it! This layout is beautiful! 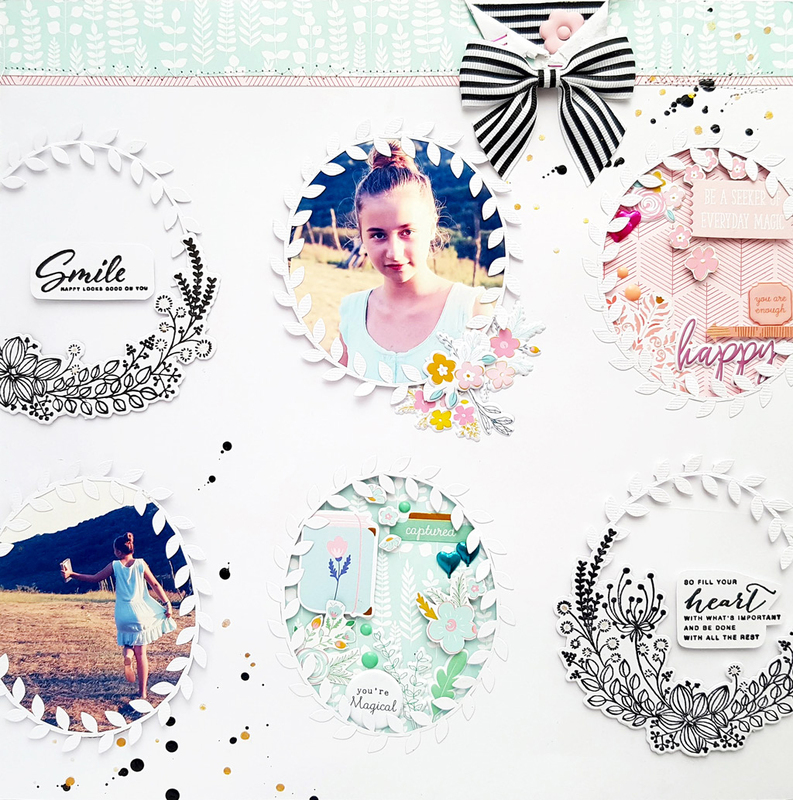 I love how you have the simple white background and the white die cuts to frame up your beautiful pictures :) What a great and creative use of that oval die!! This layout is so fun! Thank you for sharing! Anett ez egy csoda.Légies könnyed fantasztikus.Köszi a vizuális élményt! Oh my goodness!!! Great way to use those dies, love it!!! Stunning page! That die is definitely on my wish list. What an awesome layout. I love the use of this stamp and die combo to create individual little scenes. Love the circle page. Like little windows. Very pretty. I like al the details. 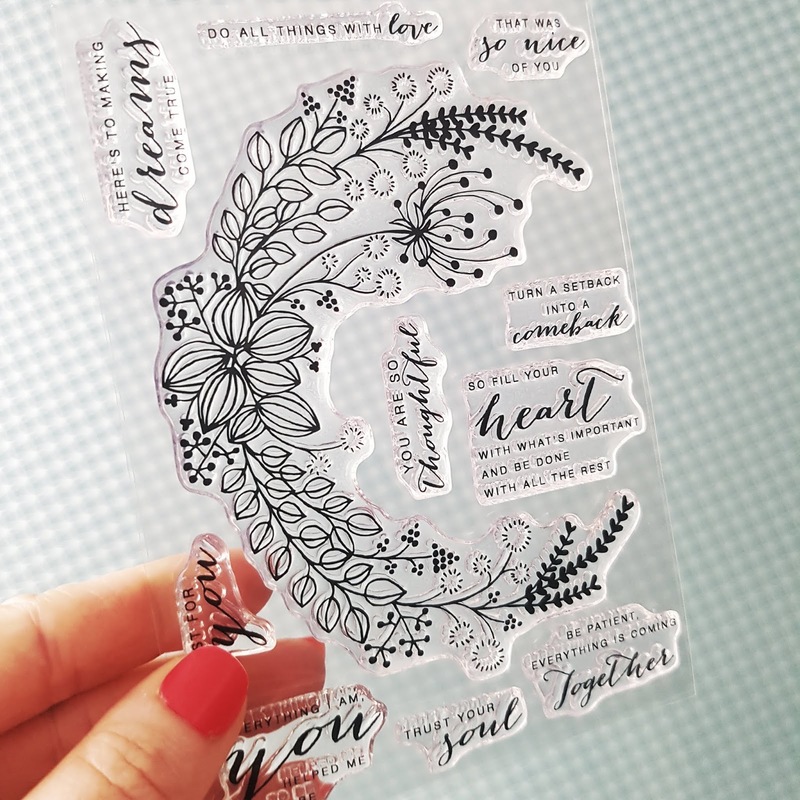 Love the beautiful Heart and Soul stamp set! Gorgeous page! How clever! I love this layout with the little scenes you created. I'll be digging through your blog to see what else you got up to. Thank goodness I found you through the blog hop. Gorgeous layout! The floral wreath in the stamp set is so pretty. Beautiful layout. I really like the idea of using black and white images to provide more contrast for the coloured sections of the layout. Beautiful! I never thought of creating a grid using oval frames - thanks for the inspiration! So lovely! I love how you framed all of these gorgeous images! I so love the wreaths! Both the die and the stamp. You have yard them well. Wow! Anette! Heart and Soul was one of my first favorites from the January release. Bravo! Just beautiful layouts!! Thanks for sharing them!! 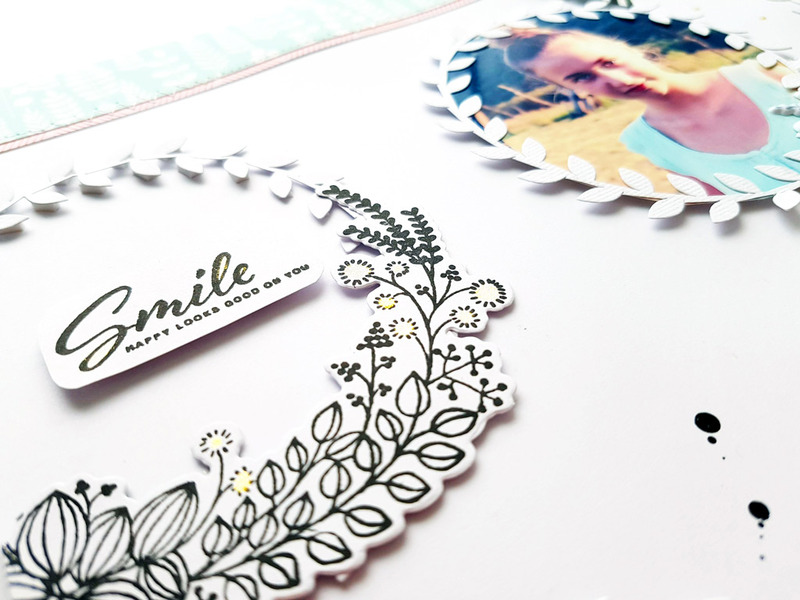 This layout is gorgeous, love the foliage wreath die. Pretty layout--love all the wreaths. Beautiful layout. I love the stamp and die you used! Those are so fun to look at, especially with pictures! The stamp set is glorious with that floral swag! Thank you for the projects to see! Absolutely beautiful layout! Love the details. Great use of the Pinkfresh Studio products. Lovely job. Thanks for sharing your creativity! Great layout and use of the wreaths. 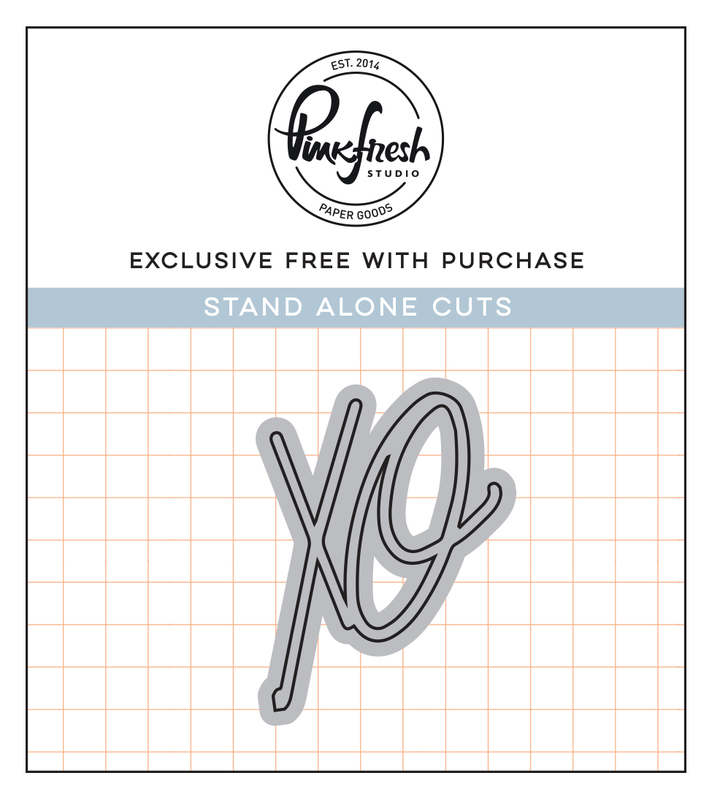 Congratulations on designing product for Pinkfresh! WOW! What a creative way to use that stamp set! LOVELY page!! I've always enjoyed the oval foliage die, but I LOVE seeing you use it in so many ways on one page. I'm particularly impressed with all the dimension you achieved in and over the wreaths. Thanks so much for sharing with us! That's a beautiful stamp you created, and I love how you layered it over the oval foliage wreath! Gorgeous layout; so well designed! I loved your use of the wreath and layers for photos. I've always been a little shy about scrapbooking but I loved you the way you've layered it and embellished the the colored images. I'm glad 😊 to be one of your blog hoppers now. Great use of frames & color!! Tökéletes és csodálatos - mint mindig ! Még sok ilyet! Beautiful layout. Love the gorgeous layering. Congrats to Pinkfresh Studio on completing 5 years. I love your products. Wishing you many more successful years ahead. Beautiful layout. This design is so versatile and is great for cards as well. Congrats on 5 years...well done! Wonderful layout! Thanks for sharing and Happy 5th! What a lovely layout. Love all the details. Such a beautiful take on a classic grid! I love the layout! Especially how the natural and free look matches the photos. My favourite is the middle bottom one, it looks like a pretty window view! 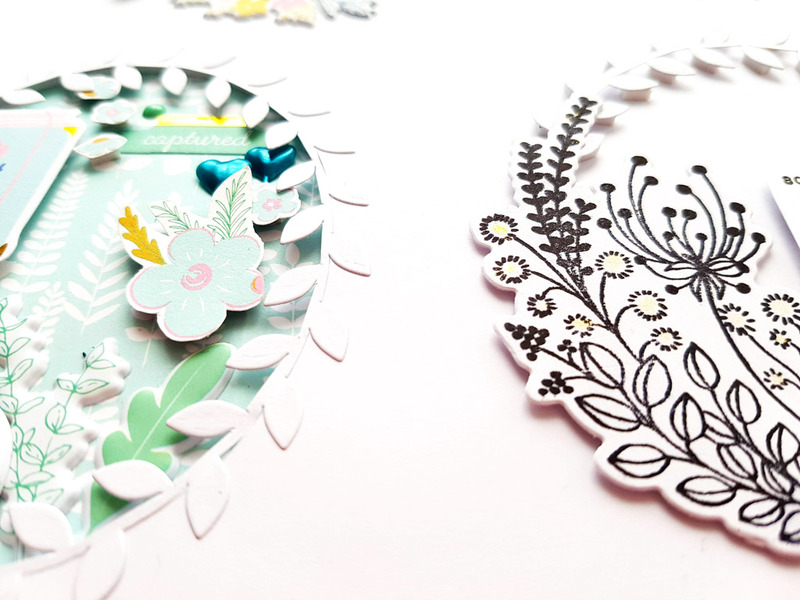 I love how the wreath stamp and the oval wreath die fit so perfectly together. Beautiful LO. Just gorgeous!!! Stunning layout! 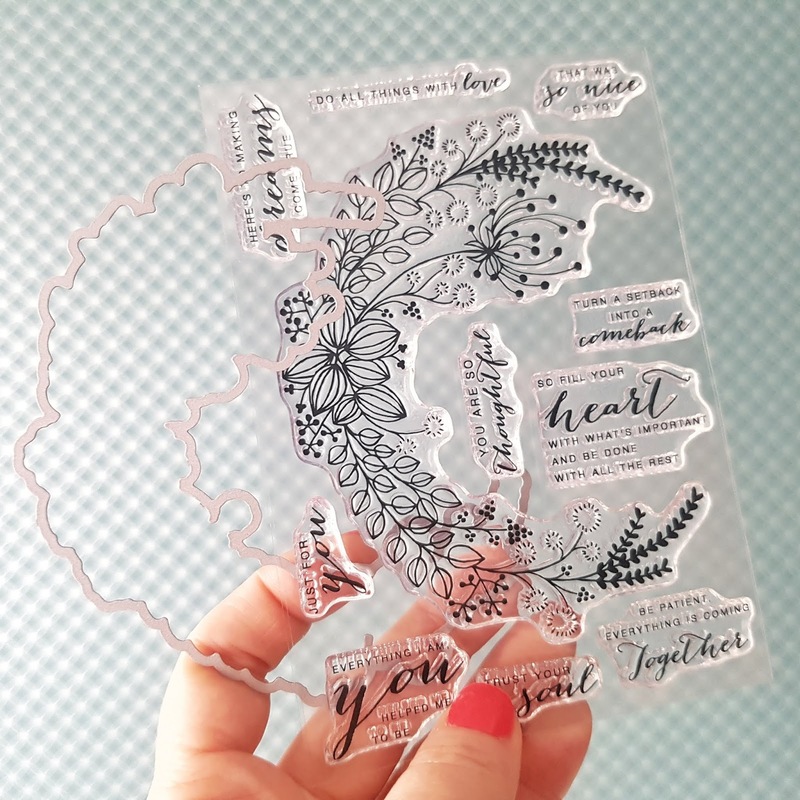 Sweet images and die cuts in such a lovely design. This is so beautiful! I love the mix of the leaf dies with the stamped florals! beautiful stamp design! I luv how you framed all of the elements on your layout!